This beautiful wall crucifix is hand-crafted and made from stone imported from Bethlehem. It measures 6.25". 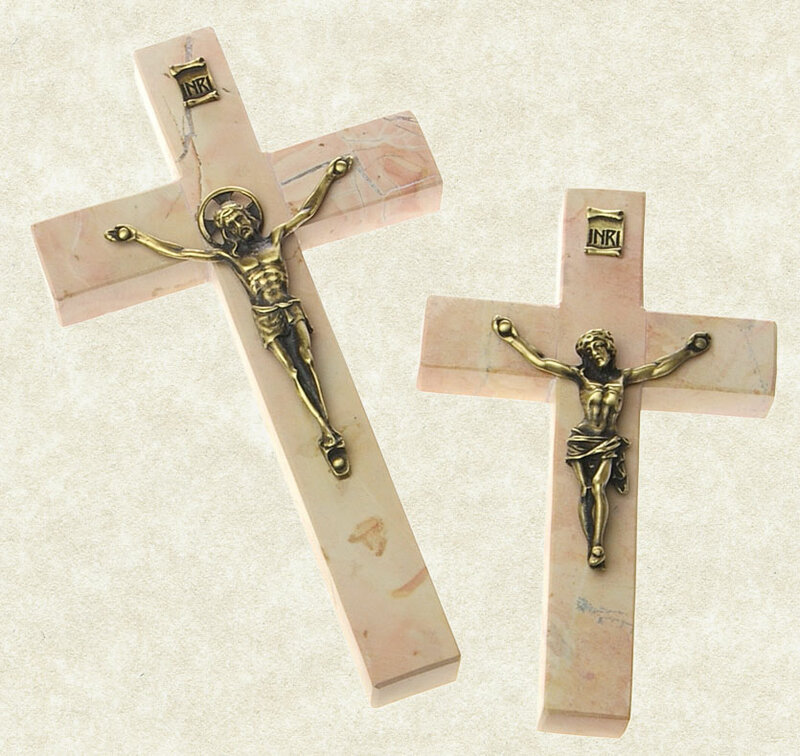 Acquire a part of the Holy Land with this beautiful bronze and polished Bethlehem stone Crucifix. Bethlehem Stone is a limestone material found in the areas between the Jordan River and the Mediterranean Sea, and between Galilee and Haifa. Natural stone colour will vary from image displayed. This stone was excavated by the Israelites as early as 1000 to 2000 B.C, and used to construct such historical religious sites as the City of Jerusalem and King Solomon’s Temple. Today this treasured stone is used in all modern construction within the city of Jerusalem. A beautiful reminder of our faith heritage. This item comes gift boxed with a certificate of authenticity. Quarried in the Holy Land and handcrafted in Canada.